We don’t want to be silly when singing songs of praise, because we want to show God respect. But we can have fun being joyful and rejoicing. (Read Psalms 92:1-2) What do you do in the morning? 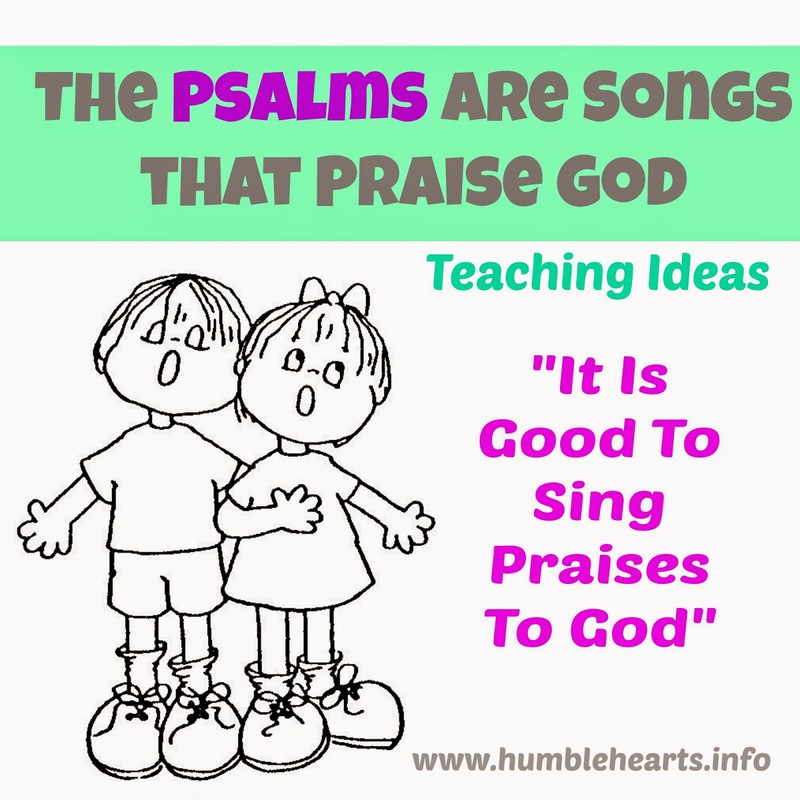 Can you sing songs to praise God? What do you do at night? Can you sing songs to praise God? This is a Psalm written by David. He was was running away from Saul who wanted to hurt him. David went to God for help and he sang and rejoiced because God took care of him. Does God have wings? No. But like a mother bird protecting her chicks, God takes care of us. We can sing praise to God even when we need help. (Have child repeat theme verse after you.) This verse is about making a joyful noise to the LORD Jehovah. We are making a joyful noise to God. David played a harp. What are other instruments that you have seen people play when singing praise to God? What are instruments you can play when singing praise to God? Make a scroll together. Explain that different men wrote these Psalms down as God told them what to write. David and Asaph were some of the men that wrote Psalms in the Bible. They would be written down on a scroll.